On October 20th, I’ll run my sixth marathon in Kansas City, MO (Missouri, not Kansas—everyone in the east coast thinks I’m running in Kansas). I lived there while attending the Conservatory of Music right before heading off to New York City in 2010. Originally I planned to run their half marathon a year ago, but canceled to take care of my newborn son. I let the organizers know, but they actually reached out to me to see if I would write some music for them. 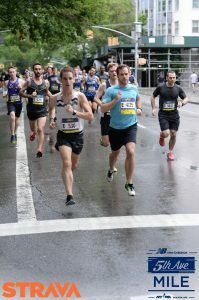 I wanted to run a fall marathon in 2018, but decided to hold off on another world major. 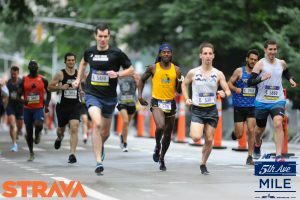 Running the full marathon instead of the half would serve as a bigger challenge. My goal is to beat my personal best time at the distance. 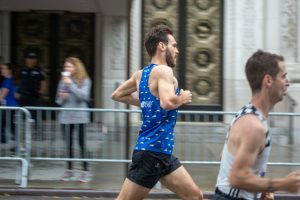 Although my training was excellent earlier this year in preparation for the Stockholm Marathon, unfortunately my SI joint was misaligned six weeks out from the marathon. Miraculously it reset once I landed in Sweden, but I couldn’t do much with record hot temperatures and missing a lot of training. I had to settle with having fun completing it. Post Stockholm I took the time to work on my weak areas. Since finding out first hand how complicated the SI joint actually is, I did not want to go through the long process of letting it reset again. The races that followed over the summer would be interesting basically because I kept going down in distance. I went from the 10k to 5 miles, then the 5k to 1 mile. 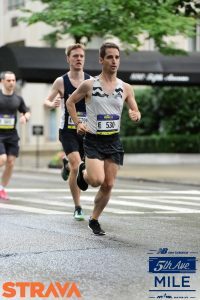 Although each race decreased with distance, I kept running faster and faster: from 6:02 mile pace for 10 kilometers on a 100 degree day to 5:48 for 5 miles, 5:29 for 5 kilometers and a 4:57 mile. Though it makes sense to run faster as the distance cuts down, it doesn’t always work that way. 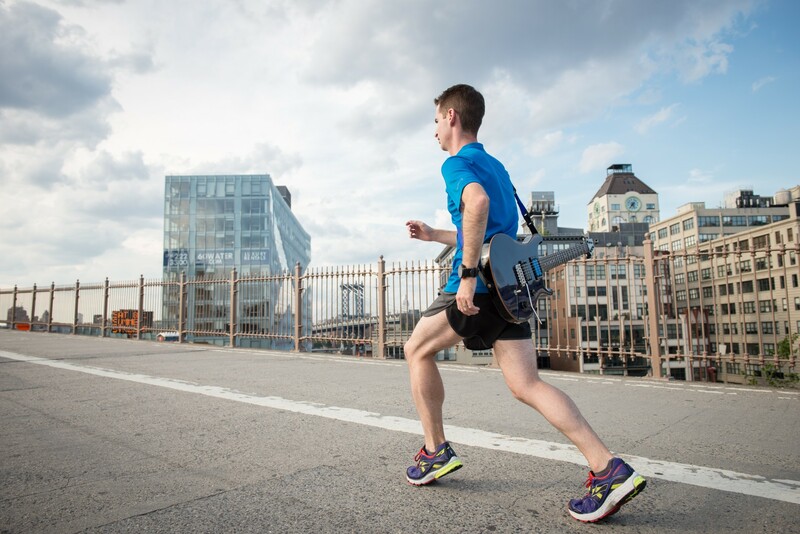 After all, race times are not the only variable to gauging fitness. My friend Girma developed an 11 week program for me in my preparations for Kansas City. The schedule is correct and balanced with the amount of miles (volume) and paces. About six weeks into it I noticed a change in my fitness. 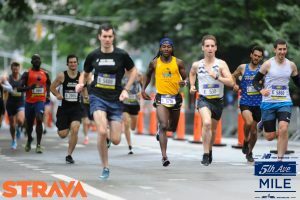 The 5th Ave Mile race brought my pop back to my running. By following the schedule my heart rate is now lower at certain paces. I’m able to run faster with better economy because I’m not shortchanging the aerobic work. The schedule is also nice because it peaks at the right time. The volume cuts a little, but the intensity stays the same until the big day. I’m really excited to try another shot at the marathon distance in the city that started it all for me. Yes, it’s a challenging course because of the hills, but I’m sure it will be one to remember. I’m especially looking forward to passing the park where I began casually jogging 10 years ago. Although I haven’t set any bests this year, I feel that something might just come together with my last scheduled race of 2018. Pray for cool weather!